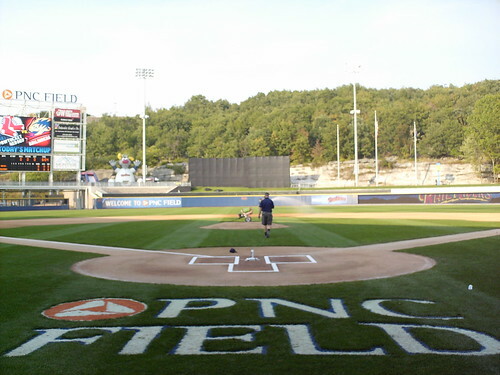 The view from behind home plate at PNC Field. 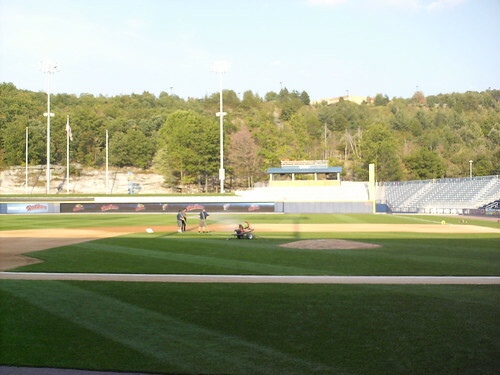 The view from down the first base line, looking out toward the scoreboard and the buildings atop Montage Mountain. 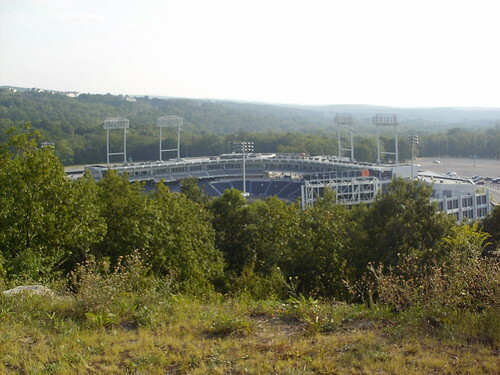 PNC Field, as seen from the shops atop Montage Mountain. 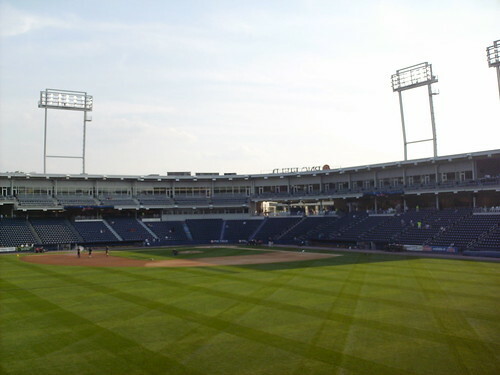 The grandstand, as seen from center field. 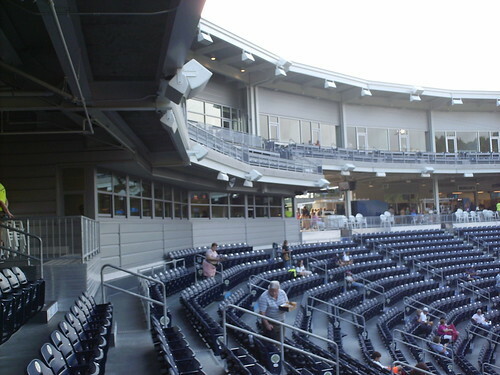 The pressbox is located at the concourse level, with the luxury suites above. 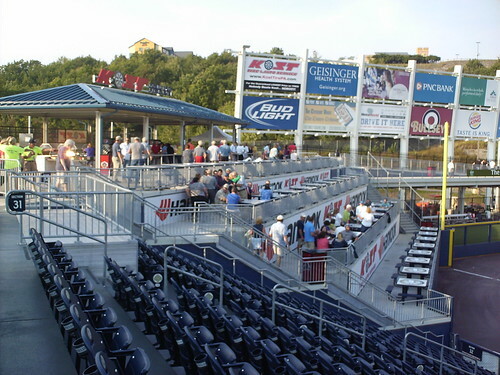 Party deck seating in left field foul territory. 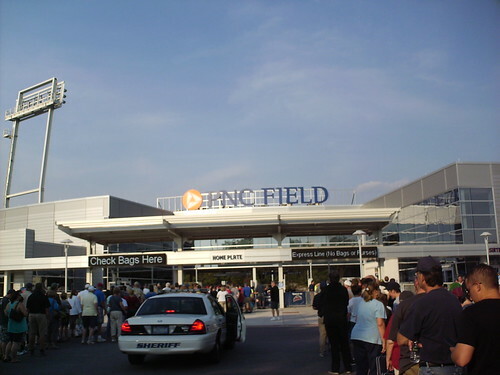 The outfield concourse runs as a bridge from the party deck over the bullpens and into center field. 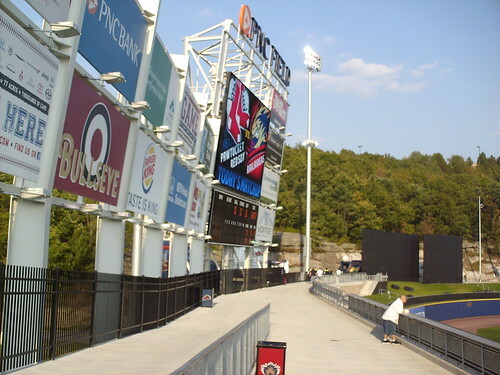 The scoreboard and ads tilt in, looming over the center field walkway. 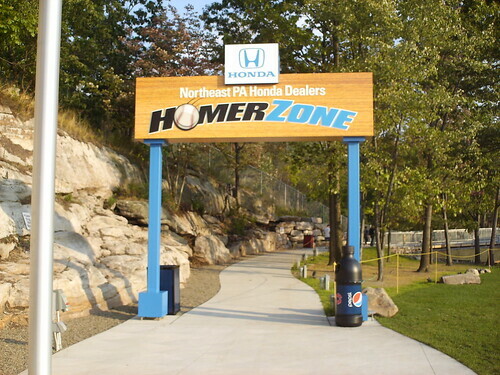 The concourse hugs close to the mountain in right field, making it more closely resemble a nature trail than most ballpark concourses. 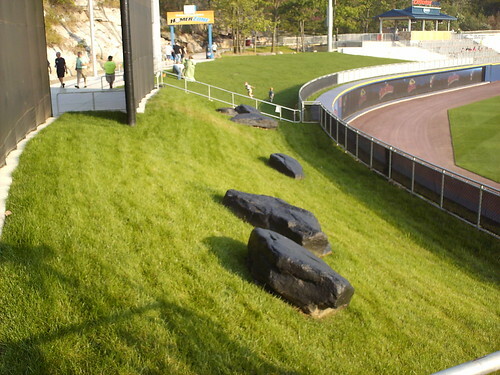 Rocks from the mountain, excavated during the stadium reconstruction, are scattered throughout the park, making it look like its part of the mountainside. 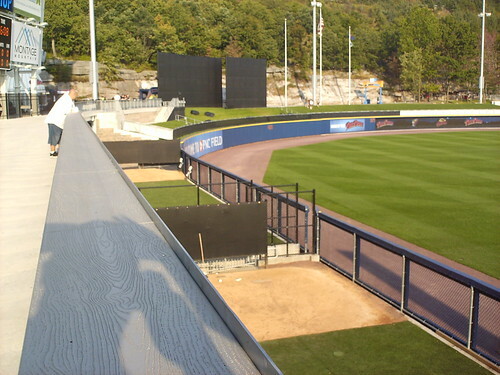 The bullpens are located back-to-back behind the wall in left field. 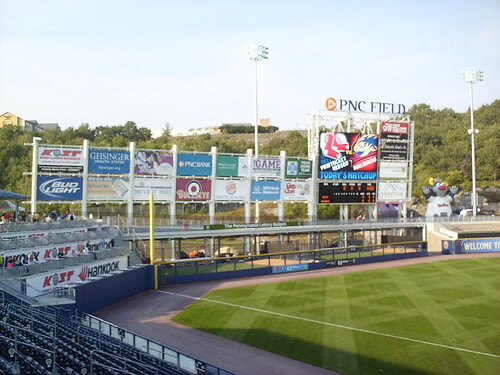 The wall is fairly uniform all the way around. 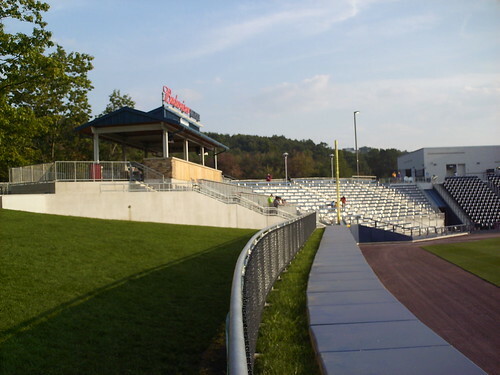 The view of the right field corner, looking along the berm and the shelf along the outfield wall. 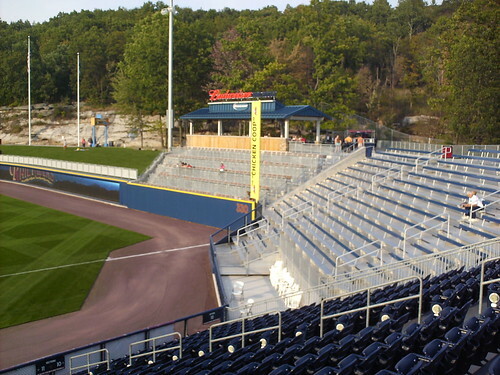 Bleachers in right field foul territory give way to a second party deck at the foul pole. 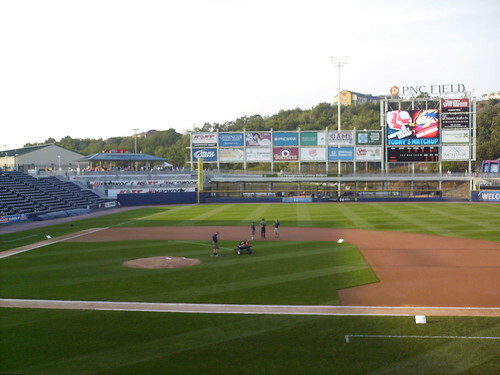 The Pawtucket Red Sox and the Scranton/Wilkes-Barre RailRiders on the field during a game at PNC Field. 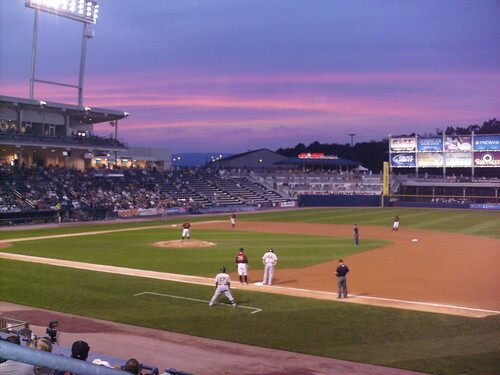 The exterior of PNC Field at night. 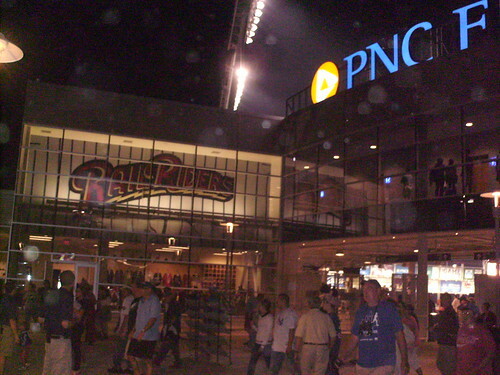 When the lights go down the glass facade reveals a giant RailRiders logo above the team store.